Depending how heavy your toxic load is, it may be difficult for your body to properly detoxify and keep your G.I. tract healthy. 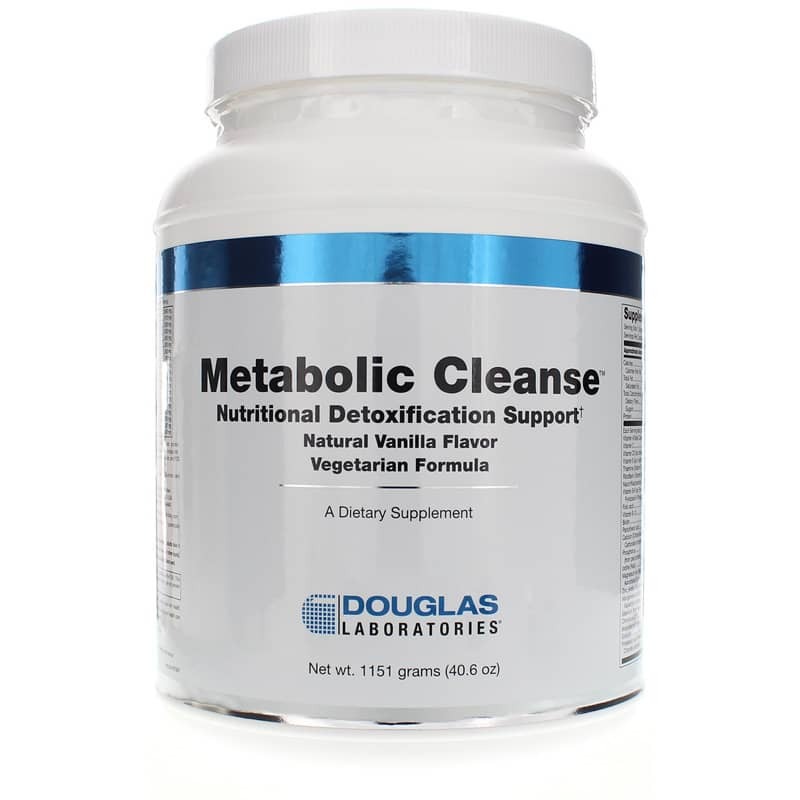 If you're in need of a little extra support, Metabolic Cleanse from Douglas Laboratories may be able to help. 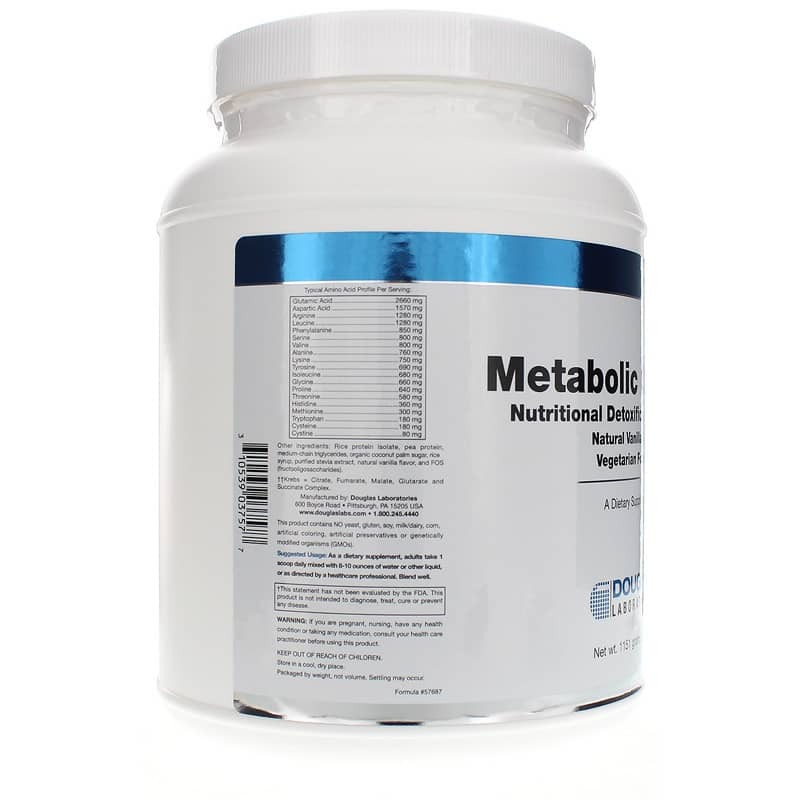 Metabolic Cleanse from Douglas Laboratories comes in a great-tasting vanilla flavor and is naturally sweetened using organic coconut palm sugar. Just mix on scoop into 8-10 ounces of water or another beverage every day to help maintain optimal G.I. health. Other Ingredients: Rice protein isolate, pea protein, medium-chain triglycerides, organic coconut palm sugar, rice syrup, purified stevia extract, natural vanilla flavor, and FOS (fructooligosaccharides). Contains NO: yeast, gluten, soy, milk, dairy, corn, artificial coloring, artificial preservatives, artificial flavoring or GMOs. Vegetarian. 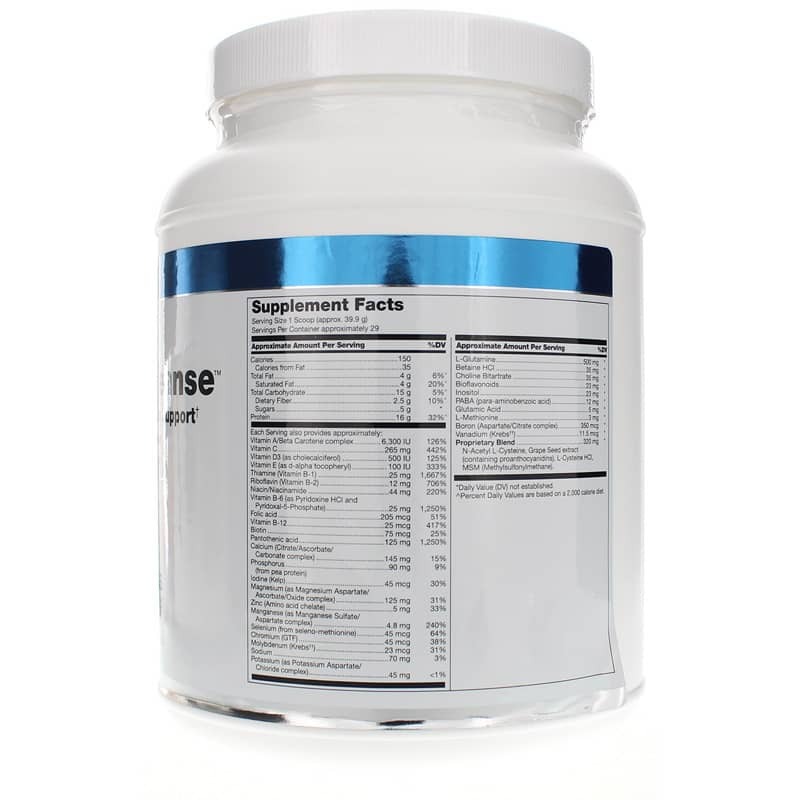 Adults: As a dietary supplement, adults take 1 scoop daily or as directed by a healthcare professional. Add scoop to 8-10 ounces of water or other liquid or as recommended by a healthcare professional. Blend well.